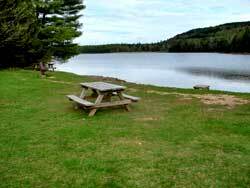 North-South Lake Campgrounds will be opening Friday May 7, 2010. They will stay open until October 24, 2010. This year the daily rate will be $22/night. 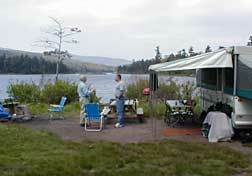 The other DEC campgrounds in the Catskill Mountains will be opening May 22, 2010. Their rates are from $18-$22/night. All the campgrounds are now closed. But, you could park at the end of Laural House Road and camp there. There is now a Camping Allowed Disc. Just make sure you are 150' away from the road. The trail to the campsite is defined. There is just a fire ring. It sits in the pine forest. If you tell me where you would like to hike, I might be able to provide other locations.